What sets Key Truck Sales apart from other dealers? Lots of bigger dealers buy every truck and van they can get their hands on, without regard to condition or history, so that they can offer as many units as possible. I personally hand pick every truck and cargo van that we offer for sale, cherry picking mostly off lease inventory from major lease companies in multiple states. I choose only the units in the best condition, so that we can offer you the finest vehicles that the resale market has to offer. 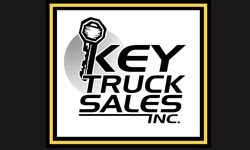 Where our customers have came from to purchase a vehicle at Key Truck Sales! Every truck and van we offer for re-sale undergoes a rigorous reconditioning process; Including thorough inspections, all repairs that may be needed, maintenance services and final road testing by either myself or my son Chris. *Units deemed as "low budget specials" and priced at $9900 or less are exempt from the full Key Truck Sales recon process and guarantees. I guarantee that we will always be fair and honest in our dealings with our customers. We will never lie or mis-lead you and answer any question you ask in a straight-forward way. You won't encounter any high-pressure tactics, rudeness or long waits to talk to myself or my son Chris. (We are the whole sales staff). Why do I insist on these practices? 1- Our Christian faith and American up-bringing have taught us to be fair and honest in business and in life. 2- We enjoy earning our customer's respect, friendship and repeat business (over 50% of our business is repeat). 3- We like to sleep well at night, knowing that we are doing business the right way, every day. What all of this means is that we try very hard to offer you the best used cargo vans and trucks possible, and deal with you in a fair, honest and no-nonsense way.